As the weather begins to warm up, we start seeing more and more produce becoming available to us at the grocery store, farmers markets, and road side produce stands. Yum! 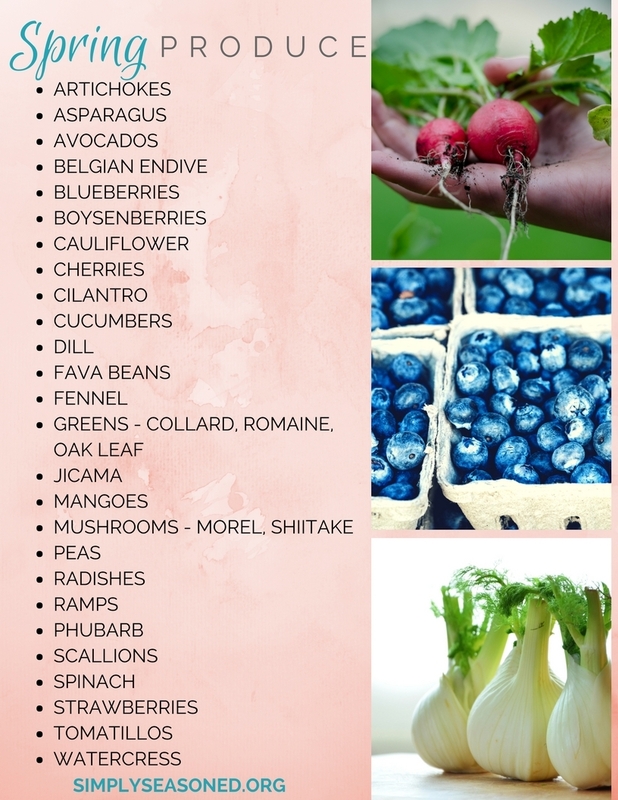 Kristyn Granahan is with us again, sharing this fantastic list of spring produce. Some of our favorites on this list make amazing salads and will get you your much-needed daily dose of vitamins and minerals. When you head to the market next, be sure to look for the freshest of fresh; the items on this list. Your cooking, your pantry, and your family will be very happy! When choosing spring produce you want to make sure things are ripe and that you eat them within the week for the best freshness and taste!